Every Tuesday I post a work of art I love priced under $10K. This week: I have not been able to stop thinking about this new piece by Sara Jones. 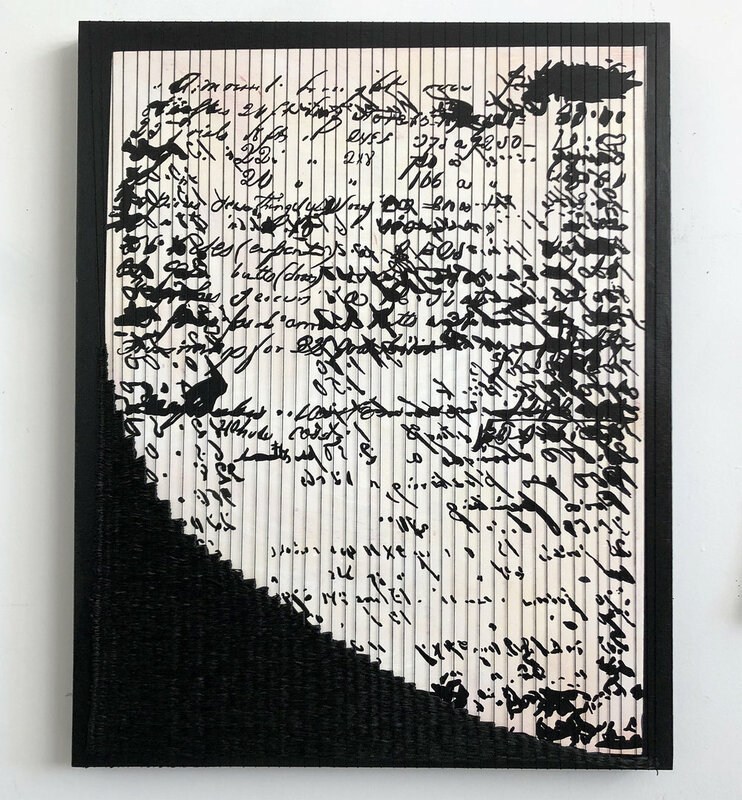 She combined a replicated, illegible family letter with weaving to explore ideas of indecipherable relics and lost stories. If you're interested in Sara's work, please get in touch! Every Tuesday I post a work of art I love priced under $10K. This week: I adore everything about Katherine Duclos' work, and it was such a pleasure to pay her a studio visit last week! She uses ink on yupo - a synthetic paper. Because the surface is waterproof, ink pours spread unpredictably before drying. By introducing metallic and reflective pigments, Kate is able to achieve truly spectacular effects. I also love that her work is produced in a series. You could do a grid of 8 for under $10,000 that could be rearranged to fit many spaces. If you're interested, please get in touch! Every Tuesday I post a work of art I love priced under $10K. This week: Dan Walsh's work is one of my favorite things to recommend for people looking at this price point -- particularly these suites of prints. Walsh's paintings are very large with a big price tag to match and have optical affects that might not be desirable in a home (I prefer artwork in my living room that does not make me queasy). These lovely little prints, however, are delicate and affordable. Plus, if you're a renter, and you could have entirely different walls next year, sets allow for greater flexibility than large pieces. Just like in his big canvases, however, Walsh uses these smaller formats to explore color and a sense of depth and fictive volume.